Dimensions: 70 x 130 cm. 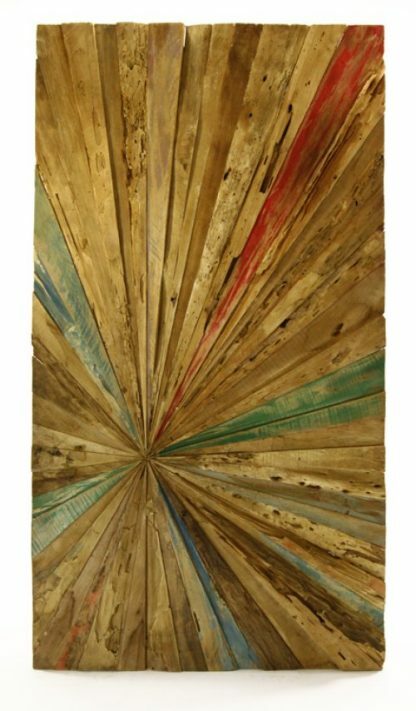 Individual segments of carefully cut teak wood make up this rectangular wall panel, displaying the beautiful sinew and grain, with accents of faded colour, giving a vintage, aged effect. Since this is a handmade item each panel is unique so will differ slightly.